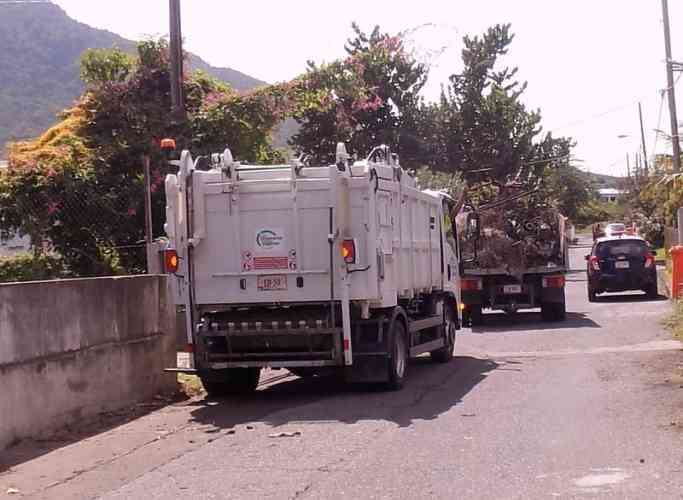 EUSTATIUS–The collection of payments for the garbage collection service was transferred from Statia Waste Solutions to the public entity St. Eustatius government on January 1, 2019. However, bills for the garbage collection payments have not been sent out to residents for the past three months. Government Commissioner Mike Franco says this has to do with trials and errors with the introduction of a new electronic system for the civil service. “We are introducing a new electronic system for the whole civil corps to give better service to the people,” Franco said. Under the new system, paperwork would no longer go from one desk to the other, but instead will be put into a computer. “When I open my desk in the morning and I see a document I have to sign off on, I sign the document and then the document automatically will go to the next person who has to sign or do their due diligence,” Franco explained. 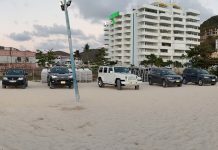 He said the government had a few trials and errors with the introduction of the new system, which had to be corrected. One of the biggest problems was that the garbage collection fees were not processed in the system. “This problem has been looked at and will be remedied shortly,” Franco said. The new system will give persons the option to pay their bill every four months or monthly, if they prefer. An employee at the Finance Department said persons interested in paying their bills now may do so by making a payment to the Eilandsontvanger, account number 32487505.